Weddings are the best things in the world. Beautiful feeling, love in the air and the most important day for a Bride and the Groom. 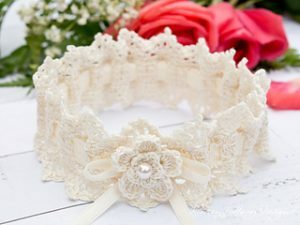 To make it more special let us throw in some handmade goodies to the Bride’s Dress 🙂 We already gave you the patterns for Bridal Bouquets and Wedding Shawls so here is another lovely and important thing that should be a part of the bridal dress. 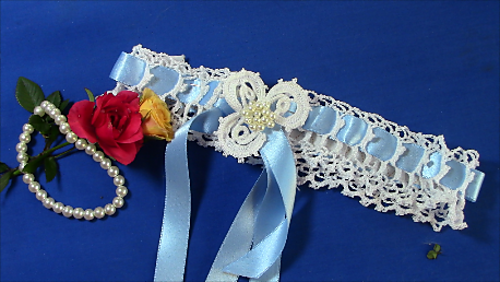 Yes, a Bridal Garter. 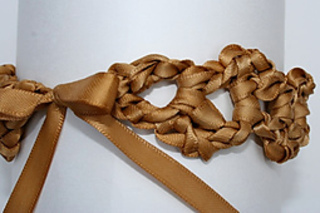 There are stories and History related to this lovely little accessory of the wedding day. You can make these for yourself and/or/also for your friends 🙂 Hope you love these Garter Belt Free Pattern. Crocheted Wedding Garter by Allison Taylor made using a Ribbon yarn and a 5.5mm crochet hook. 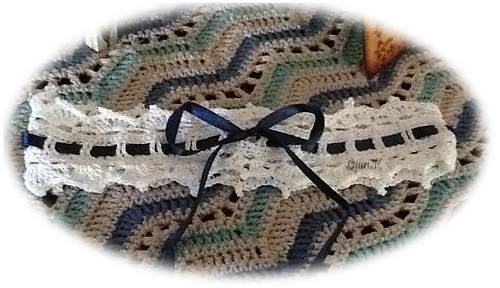 Crochet Garter 1895 by Brainerd & Armstrong Company seems to be an old pattern made using a thread. 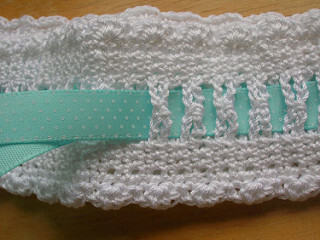 Tailor-Fit Bridal Garter in Crochet by Phebe Durand made using a thread and a 3.25mm crochet hook. the pattern is available as a Free Ravelry Download. Bridal Garter by Lorene Haythorn Eppolite- Cre8tion Crochet made using a thread and 2.75mm crochet hook. 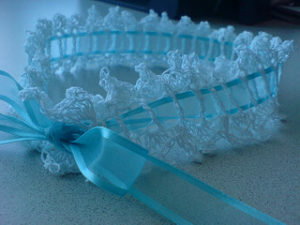 Ruffled Lace Garter by Toni Rexroat made using a thread and 1.5mm crochet hook. 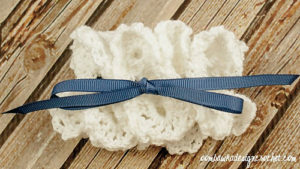 Something Blue Bridal Garter by D Goldoff DesignsByDGoldoff is a lovely pattern made using a sport weight yarn and a 3.5mm crochet hook. The pattern is available as a Free Ravelry Download. 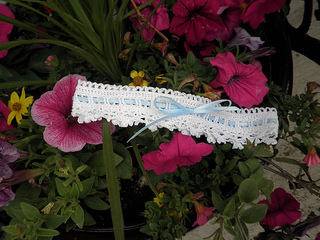 “Something Blue” Bridal Garter by Deborah Schlegel is a lovely pattern made using a thread and a 1.5mm crochet hook. Rachel’s Wedding garter by Amanda Corbett made using a thread and 1.00mm and 1.5mm crochet hook. The pattern is in form of a Video Tutorial. 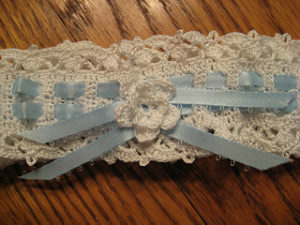 Bridal Garter by Lisa Hamblin using a Cotton thread. The pattern is very easy to follow and looks very pretty. 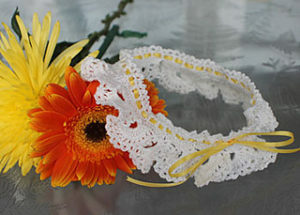 Crochet Lace Wedding Garter by Melisa Darnieder made using a crochet thread size 30 and a 1.65mm crochet hook. 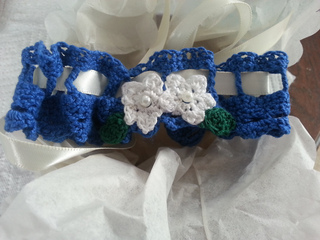 Bridal Garter Belt by Darlisa Riggs made using a Crochet Thread Size 30 and a 1.65mm crochet hook. 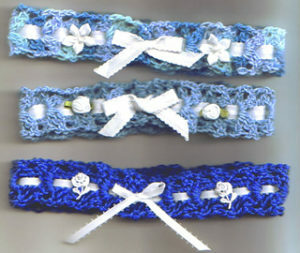 Springtime Lace Garter by Amy Jajliardo made using a cotton thread and a 0.9mm crochet hook. The pattern is available as a Free Ravelry Download. 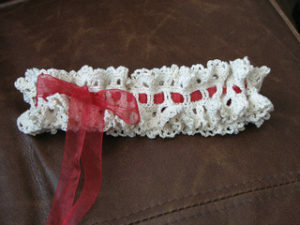 Bridal Garter by Bailee L. Wellisch using a Crochet thread size 10 and 2.75mm crochet hook. Wedding Garter by Cate Erin using a Size 10 crochet thread and a 1.4mm crochet hook. You can also make this as something blue. 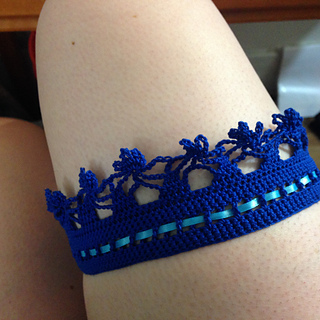 Stretchy Lace Garter by Chi Krneta made using size 10 crochet thread, 2.75mm crochet hook and a 3.75mm crochet hook. The pattern is available as a Free Ravelry Download. Traditional Bridal Garter by Oombawka Design made using a Sport weight yarn and a 3.5mm crochet hook. The instructions are available in written, photo-tutorial and video formats. 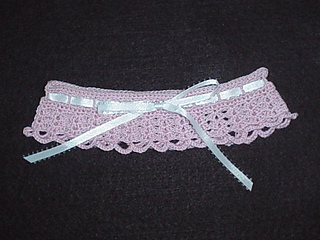 Dainty Little Garter by Lynn Kellogg made using a cotton thread size 20 and a 1.5mm crochet hook. The pattern is available in PDF format on the website. 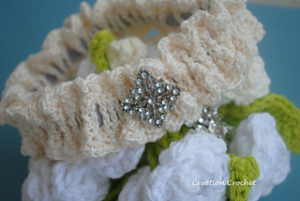 Wrapped in Lace Wedding Garter by Kirsten Holloway is a lovely design made using Thread of size 10 and a 1.5mm crochet hook. It looks very pretty. Want to try some other Wedding Goodies?? ?